We are excited to be interviewing the iconic fashion house Mackintosh, a luxury company which pulls together British craftsmanship and contemporary design to create the modern-day ‘Mac’ coat we know and love. Mackintosh has been close to the NTSUSA as they have generously sponsored our 2018 gala, A Celebration of Scotland’s Treasures. Mackintosh indeed fits the theme of the gala, as their coats are not only known locally in the U.K., but as an internationally renowned store where they have collaborated with Hermès, Louis Vuitton and Alyx. In this post, NTSUSA discusses with Production Director William Ross and Global Commercial Director Andrea Austoni about the complex processes in designing and manufacturing the iconic Mackintosh coats, and how Scotland remains a critical point of inspiration to the style of Mackintosh today. NTSUSA: Mackintosh has a fascinating history and revolutionized rainwear. 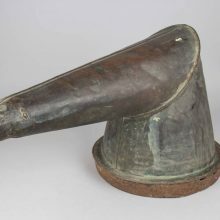 Before Charles Macintosh developed his rubberized fabric, the rubber in waterproof clothing was hard to move in and became sticky in hot weather. Can you talk in more detail about the original method to create waterproof clothing that was both comfortable and movable? William Ross (Production Director): The modern fabric is constructed from 2 layers of 100% cotton with natural rubber in-between, which involves the rubber being spread on the fabric and then put through an oven to bond the fabric with heat. The gives us a weight of 331 grams per meter, which makes the coats fairly light and improving the movement of the fabric when worn. This has created the authentic Mackintosh coat which can be purchased today, an evolution of the original heavy garment, but one which still holds true to the original manufacturing process. NTSUSA: Mackintosh is a great example of a brand combining modern technology with traditional designs and techniques. What has changed in your manufacturing process? What has stayed the same? WR: The manufacturing method is basically the same since Mackintosh was founded in 1964. However, it’s interesting that each season my team will have to learn new techniques in order to fulfill the requests of collaborative designs and also our own ever changing mainline collections. An interesting example of this is when we produced coats for Balenciaga, which was the most difficult construction of coat which we have ever made – it involved creating a 5 panel shoulder and a 5 panel sleeve – normally our coats have 2 shoulder and 2 sleeve panels! So, although the process of bonded cotton remains the same style, the designs which we are working towards are what have changed. The luxury nature of the handmade product remains, but the styling has evolved on a number of garments. NTSUSA: How did you come to work at Mackintosh? Prior to Mackintosh I worked at Coats Viyella. I joined Mackintosh in May 1999 as Production Director. It was fantastic to be approached by Mackintosh due to its rich history. NTSUSA: What might surprise people about the Mackintosh manufacturing process? The coat has all seams stitched, but the rest of the process is hand made with the seams having rubber solution applied to lay and stick them down, and then tape applied by hand to make sure there is no water intrusion. The process would appear simple when on paper, however, this is a skill which is learnt over many years. 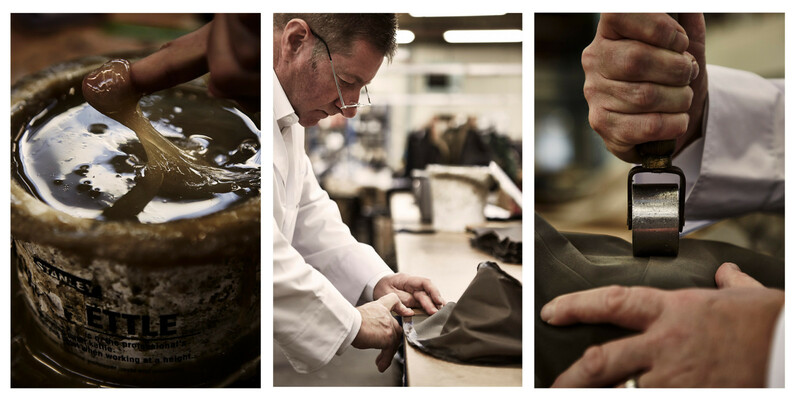 Our factory in Scotland employ apprentices who are taught the handmade craft of the rubberized coats, with many of our team joining us in the teens and remaining with the company into their 60’s. NTSUSA: National Trust for Scotland has recently launched their “For the Love of Scotland” campaign, asking notable Scots about their least favorite and favorite things about Scotland. (See here: https://www.nts.org.uk/love) We would love to know your thoughts! As a proud Scot my favorite thing is our Heritage. Weather is the least favorite. NTSUSA: We all know the iconic Mackintosh coats, but your contemporary collection includes so many more styles and fabrics as well. Do you have a favorite design? Andrea Austoni (Global Commercial Director): Apart form our iconic coats which are my preferred silhouettes, such as the classic Mackintosh GR-001, I think my favorite design would be the oversized rubberized. These are an evolution of our classic, signature styles, but with a contemporary edge. This has allowed Mackintosh to become both heritage and ‘current’. This allows us to create newness each season, whilst staying true to the brands DNA. Recently, Mackintosh has collaborated with several luxury designers. How are these partnerships formed and have you had a favorite collaboration? Are there any exciting upcoming collaborations you can tell us about? AA: All of our collaborations add a distinct newness to the brand and allow us to explore new techniques whilst reaching out to a different client base. I think current favorites would be the work we have done with Margiela and Alyx. We have some amazing collaborations coming up in the next seasons, however, sadly I’m not able to disclose further information, but watch this space! NTSUSA: How does Scotland inspire your work? 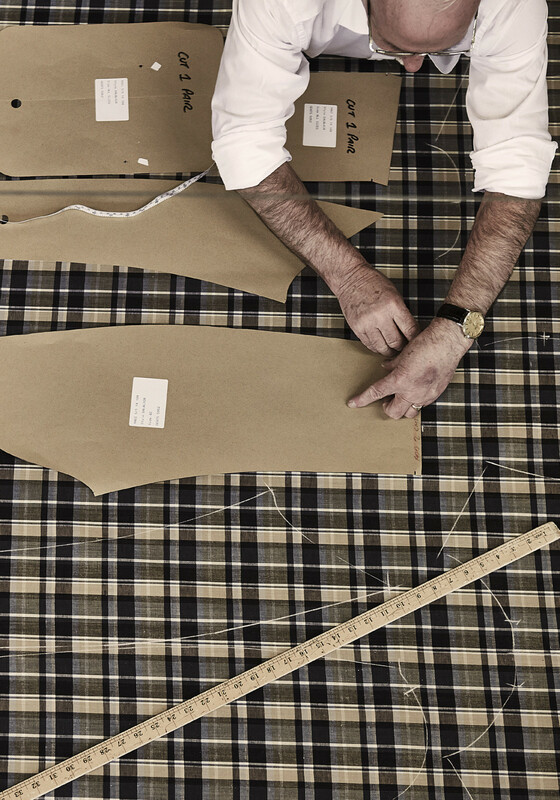 AA: Our Scottish heritage is most seen in the usability of our outerwear. With the original Mackintosh coats being made to withstand harsh Scottish winter and of course our 100% waterproof iconic styles, its this heritage which can still be seen in our collections today.